How can this be? 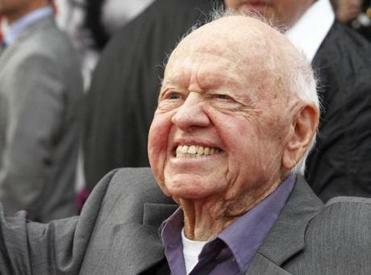 Mickey Rooney died Sunday at 93, of the usual suspects -- i.e., “natural causes” -- but was there ever anything natural about him? A vaudeville performer before he turned two, holding down his own film series at the age of six, the country’s top box-office draw before he turned 20, a has-been at 30, a comeback at 50 and 60 and 70, he never, ever came to rest. 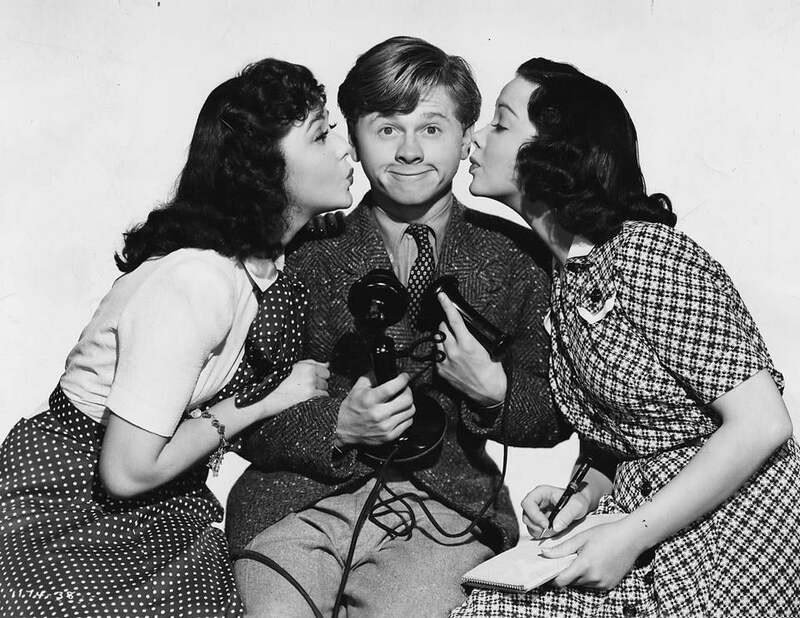 Here’s the thing you have to realize: In his ups and downs, ins and outs, marriages and movies, Mickey Rooney actually is the history of stardom in America. He was the last living star to have appeared in silent films and he holds the record for the longest film career of anyone in the medium’s history. Nor was there was any sense that he intended to retire any time soon. How could he? To watch Rooney’s movies is to marvel at an internal combustion engine that keeps pinning into the red. Your great-grandparents saw him in silent films like “Orchids and Ermine” (1927), in which the seven-year-old veteran performer had a walk-on as a midget smoking a cigar and wearing a Stetson. Your children saw him in “Night at the Museum” (2006), in which Rooney plays a museum guard and resembles the world’s angriest garden gnome. In between those two films, Rooney experienced every possible aspect of modern fame. He was at various points in his career a top-ranked star and a national joke, the idol of millions and the movie’s forgotten man. He was born Joe Yule, Jr. in 1920 to chorus girl Nell Carter and stagehand-turned-comedian Joe Yule Sr. A vaudeville brat, he was in the movies by 1927, playing a comic-strip tyke named Mickey Maguire in a hit series of shorts. Little Joe legally changed his name to “Mickey Maguire” and when the series ended, he came up with a new last name -- “Rooney” -- to avoid being sued. Every level of his public identity, then, is a blissful scam. For all that, it’s the uncontainable energy of the kid that mesmerized audiences then and that still does. Overacting? Overkill? Divine inspiration? It hardly matters. Rooney played the young Clark Gable in “Manhattan Melodrama” (1934), but it was his turn as Puck in Warner Brothers’ all-star “A Midsummer Night’s Dream” (1935) that made the bigger splash. Find it and watch it: The performance is riotous adolescent Id and glorious to behold in its much-too-muchness. The Hollywood legend, who started in the silent film era, was an outsized and amazingly versatile talent. Signed to MGM, Rooney became a star. He was electrifying as the bad-boy thug of “Boy’s Town” (1938) and played “Young Tom Edison” (1940) as America’s most hyperactive dream of itself: the inventor as inspired self-invention. He also appeared in a little B-film about a small-town family named the Hardys. “A Family Affair” (1937) was a huge hit, and so were the string of Hardy family movies that followed: 14 films in all, not counting a misfired 1950s nostalgia trip. 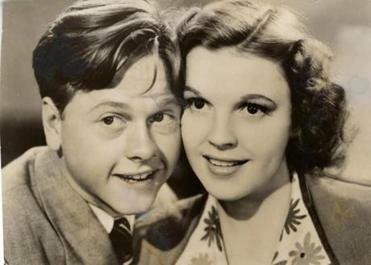 Between them and the series of musicals Rooney made with Judy Garland -- his dearest Hollywood friend and the classic industry victim to his eternal survivor -- Rooney was propelled to a three-year run as the country’s top box-office draw. Eventually there was a late-’70s Broadway hit, “Sugar Babies,” that got Rooney nominated for a Tony, and a Golden Globe and an Emmy for the 1981 TV movie “Bill,” in which he plays a mentally challenged man with respect and a mad gleam in his eye. “The Black Stallion” (1978), in which Rooney was cast as a racing coach, introduced him to a new generation of moviegoers, as did the early-1990s Family Channel series based on the film. And there were countless supporting roles in films major, minor, and invisible, all the way into the new millennium and his 10th decade. Rooney was, simply, incapable of not performing. By the late 1990s, he would have played your kid’s bar mitzvah if you paid him enough. That’s not criticism but the deepest and weirdest sort of praise. To appreciate Mickey Rooney’s career is to weep, laugh, marvel, and stagger at its pop absurdity. He seems to have understood as a toddler that some people can only come alive before an audience, and he kept that compact longer than any individual audience could survive. He had the temerity to outlive his own fame and yet he kept on going, helpless and outrageous, driven by some demon of self-presentation. Did he even exist without people to watch him? It doesn’t matter. Rooney is the secret star of the Media Age that began with the movies because he had it all, he lost it all, and it never once brought him to his knees. Don’t be fooled: If 90 years of celebrity couldn’t kill him, what makes you think death can?